The Citrus Leggings are a high-waisted, fitted leggings pattern meant for everyday wear under tunics or dresses (but we won’t tell if you wear them as pants). They can also be sewn out of exercise material for a workout pant with personality. 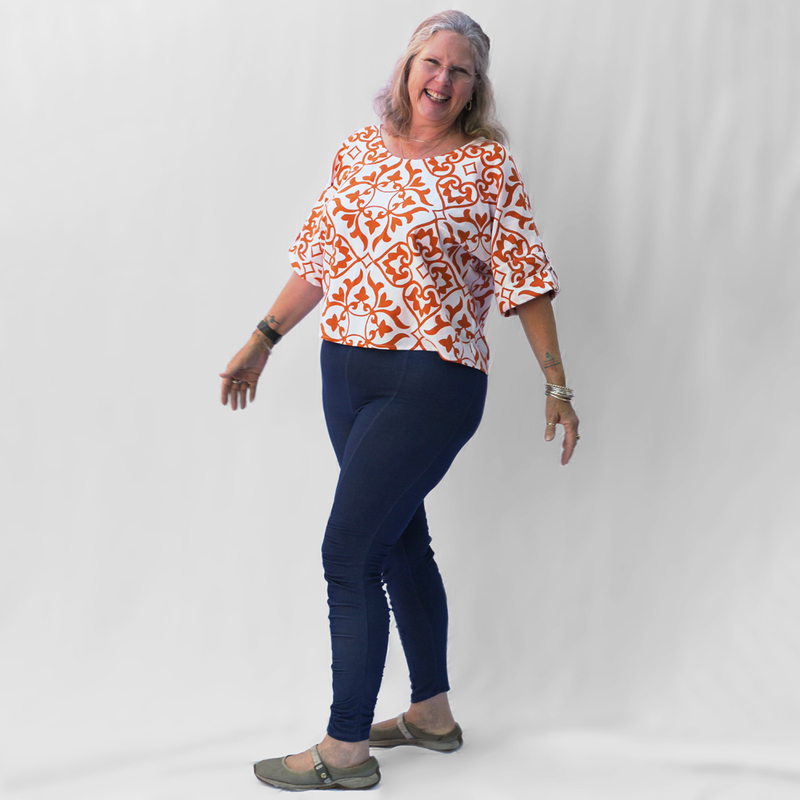 Citrus Leggings are available with a plain side panel (View C) or a side panel with unique gathers that can be placed along either the side seam with a smooth Front/Back (View A) or along the Front/Back with a smooth side seam (View B). The pattern includes 3 separate inseams (26” (66 cm), 29” ( 74 cm) or 32” (81 cm)) for an ankle length pant on short, average, or tall women. The instructions have meticulous, step-by-step illustrations. Need help picking a size? Looking for some extra help with the pattern instructions? Want tutorials for creative pattern hacks that further expand what you can do with your pattern? See the Citrus Leggings Sewalong page for all this and more! Light to midweight knits with at least 40% stretch and some 4-way stretch. Suggested fabrics include: jersey, scuba, exercise lycras, stretch velvet. Stripes are encouraged. Not suitable for obvious diagonals.